Global DMC Partners, the largest global network of Destination Management Companies (DMCs), congratulates its members Realize Colorado and Red Velvet Events for their respective and collective wins at the annual Association of Destination Management Executives International (ADMEI) Achievement Awards Gala, which took place in Houston this past weekend. Austin-based Red Velvet Events took home “Best Innovative Event - $50,001 - $100,000” for Race Against the Clock: A Secret IPO Celebration, while Denver-based Realize Colorado won “Best Recreational Activity” for Ice Climbing. Together, both DMCs jointly earned “Best Collaborative Event” for NORCAL Elite Partner Incentive Adventure. 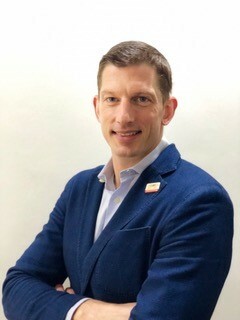 Additionally, Robert Lee, Director of Sales at Spaintacular, a Global DMC Partner, was inducted as ADMEI President and Liz Liebeskind of Red Velvet Events joined the ADMEI Board of Directors as Director of Marketing and Communications. The event was not only celebratory but also an opportunity for the DMC professionals to connect and discuss challenges, opportunities and best practices. Topics included how DMCs can mitigate cultural differences between destinations along all stages of the process, from pitching, quoting and negotiating to marketing and communicating with all parties. The weekend served as an opportunity for the industry’s finest to learn from one another in order to improve and to develop principles that should be guiding the industry globally, no matter the location.